With innumerable entry points, keeping a track of a zillion keys might seem like a tough task. Furthermore, you need to make copies, hand them out to the designated employees, keep a track of them, make copies for the missing ones, rekey locks if keys go missing or are stolen and more. Such elaborate key management sounds hectic, doesn’t it? So, is there a better, more efficient alternative? There is – go keyless today! Most business establishments in Fair Haven, NJ area are already reaping the benefits of keyless entry locks, commercial grade. Don’t fall behind; consult with Fair Haven Locksmith Service today. 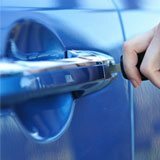 Why should I go keyless? 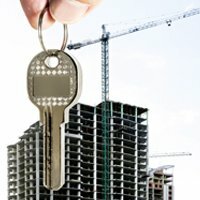 Opting for keyless entry locks for commercial setup is certainly a worthwhile investment, one that will pay off in the long run. Owing to the surge in popularity of these systems, the market is flooded with a wide array of products. Most are counterfeit or of poor-quality and will prove to be a liability than an asset, should you choose to buy them. 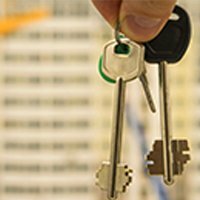 Trust Fair Haven Locksmith Service to help you procure the best quality, and high-end keyless entry locks, commercial type for your property. Instead of keys, employees are handed out cards that allow them access to a specific zone. Each card is assigned access only to specific areas and the credentials can be erased at any moment. Also, it allows you to keep track of employee check-in and check-out times. A simpler alternative, these systems are unlocked via a sequence or a code. The code can be shared with a specific number of people whom you wish to designate access to. To prevent the code from being compromised, you can change them frequently. For people who’re not ready to make that transition into relying on technology completely, there are keyless deadbolt locks you can choose from. Since they provide keyed entry as well as a digital keypad, they provide access even if you’ve lost the key or forgotten the code. 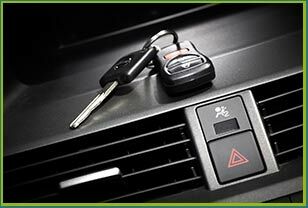 For our keyless entry locks commercial service, call 732-204-7474 now!